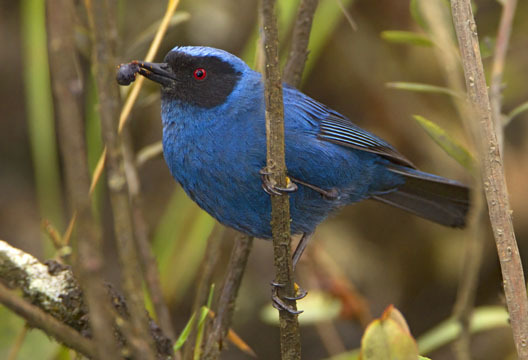 Flowerpiercers are 'cheats': they are nectar drinkers like hummingbirds and honeycreepers, but instead of performing a service to the plant by transferring pollen, they bite holes at the base of the flower with their hooked bills and steal the nectar. 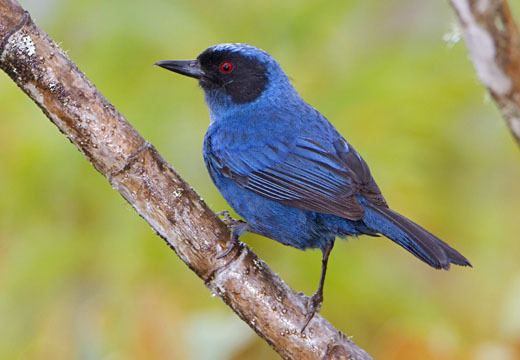 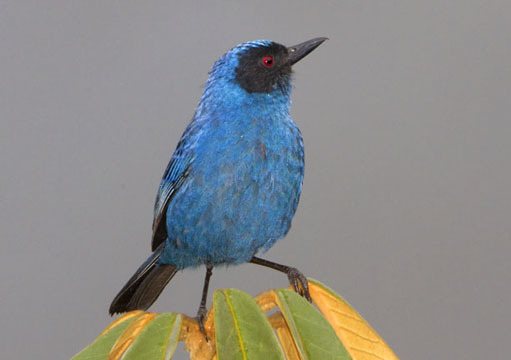 There are a number of species in the Neotropics; this one is found in Andean cloud forests. 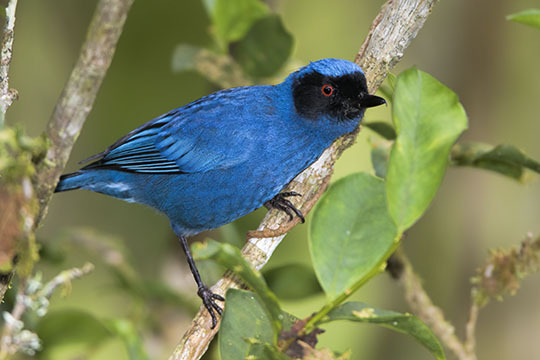 I photographed them near the Wayqecha Research Station, at about 3000 m elevation on the Manu Road in southeastern Peru (the black-throated flowerpiercer is shown on another page).